Most anglers will fish crankbaits when they’re fishing in shallow water, but I’ve learned that many times you’ll catch more and bigger bass when you work a big deep-diving crankbait in that shallow water. You have to remember, when bass become conditioned to seeing small baits in shallow water, big baits will pay better dividends. 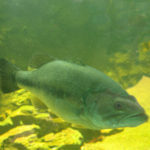 Even in clear water where most fishermen are using 4- or 5-inch finesse worms, I’ll use a giant creature bait and catch more bass than the finesse fishermen will. 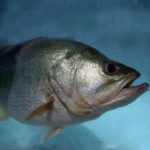 The bass will look at that big ole creature bait and say to itself, “Instead of eating a lot of little bait, I can gobble up that one big bait, get full quicker and take the day off from hunting something else to eat.” So, anytime you’re fishing a lake or an area that the rule says you should fish with a little bait, try going to a big bait. 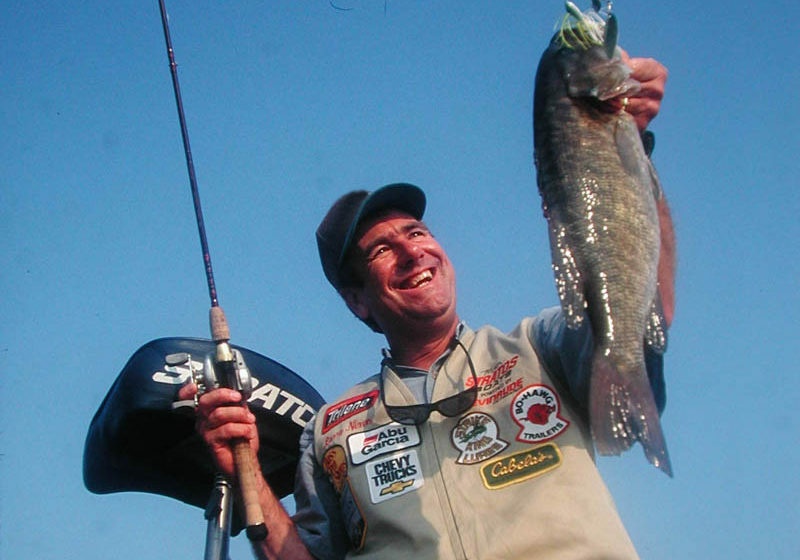 Many times you’ll trigger more strikes and catch more bass than the little-bait fishermen do. 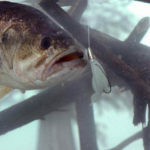 Bass like to eat unusual-looking baits that they haven’t seen all day, every day. 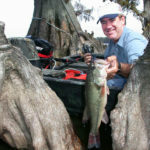 Therefore, big baits in shallow water and big creature baits in clear lakes often will cause you to catch the bass the other fishermen who are using little baits don’t catch. This tactic will really pay off for you during the spring of the year after the bass have been bedding. I’ve found that a big bait cast near a bass’s nest will make that bass mad. I’ve seen the days when I’ll fish a big creature bait near a bass’s bed, and the bass will eat the creature bait. However, if I fish with a tube or a worm, the bass probably won’t even look at that smaller lure. 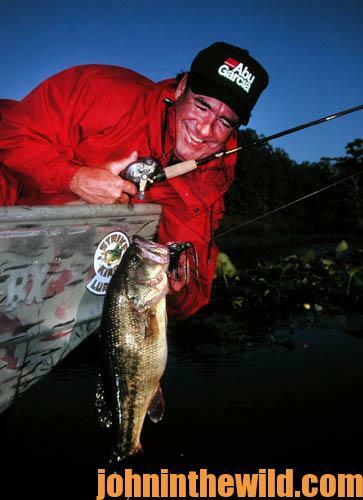 Don’t be afraid to use big baits when the bass-fishing rules dictate that you should use little baits.